Well Baby DonDon and J. Sessions want to inflict the death penalty on drug dealers. 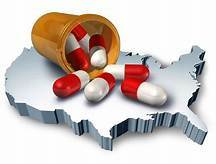 The American Government through the CIA, DEA and other government agencies have been distributing drugs for many decades. Let’s put the law to the test. First on trial the American Government. Next Big Pharma. Clean your house first.